To me, Jazz Piano Trio is just an outstanding art form, as already discussed on my previous post on Keith Jarrett’s’ Standards vol. 2. Actually, Standards fits nicely into a number of trios/albums that have shaped and influenced this particular art form. You could start this lineage with Bill Evans first trio, then move on to Keith Jarrett’s Standards trio, and somehow the third level of evolution came with the late Esbjörn Svensson and his trio. He clearly innovated the trio on many fronts. Many of today’s piano trios would be unthinkable without EST. And we are very lucky that this art form is not only still alive, but thriving. About 18 month ago I started a thread on another forum on that topic, called “Are we living in the Golden Age of the Jazz Piano trio?“. This thread has now answered the question I was asking with more than 300 posts today and has become an amazing (if unsorted) list documenting how much is happening around us right now! I want to start writing about some of the artists I mentioned or discovered on this thread. 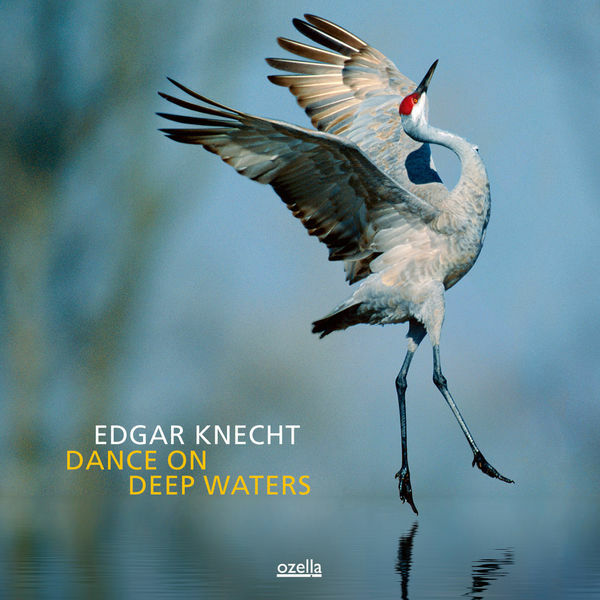 Let me kick this off with my most recent purchase, the 2013 album Dance On Deep Waters from the German Edgar Knecht, on Ozella Music. I actually start with a tricky example, this trio is actually a quartet as it includes a percussionist. But well, it is close enough. As you can see from the thread, I was actually introduced to this artists (and many other discoveries) by the forum member Elvergunn, who seems to be even more obsessed than me in finding new artists. (Little side note: The internet is really such a great place for music, you can exchange with music lovers in the entire world, you find stuff that you would have never found in your local record store, and you can all download it in minutes to your computer thanks to the rapidly multiplying specialized online shops, but let’s close the parenthesis here). Edgar Knecht in my mind is all about melodies and creating a very particular atmosphere. He takes simple music, from German folk songs to even Brahms famous Lullaby “Wiegenlied” and transforms it into something very special. The only little issue I have with this album is that sometimes you’d like a little bit more diversity in terms of approach and style. But I suppose you can’t have it all. That said, I find this album very enjoyable and keep going back to it quite regularly right now. You can get it here as download and here as CD.